Benefits Orchid - Orchid Coryanthes is one plant that is able to trap insects to fall into a trap by using an interesting tactic. The system is based on the reproduction of orchids lure insects and use them to carry pollen. 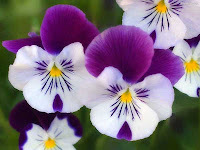 Is it possible that a flower can be aware of the tendency of an insect? Is it possible to make a plan so that flowers insects fall into the trap and transform itself to suit the purpose? No doubt, it is not possible or insects such tactics or strategy based solely on the desire and intellect alone. However, if we look at the creatures in the natural world, we know that they often apply the types of such tactics. Coryanthes orchid plant is one that is able to trap insects to fall into a trap by using an interesting tactic. The system is based on the reproduction of orchids lure insects and use them to carry pollen. The orchids grow in groups of this type. Each flower has petals that resemble two strands of right-wing and behind the two strands of this there is a "bucket" small. When the flowers open, a special fluid that issued by two special glands begin to drip into the bucket. Soon the flowers began to emit a scent that is very attractive to bees. Orchid is known as a popular ornamental plant flowers utilized. The orchid is very beautiful and extraordinary variations almost infinite number. Unusual orchids sold as potted plants and as cut flowers. Indonesia is rich in orchid species is very high, especially epiphytic orchids that live in the trees of the forest, from Sumatra to Papua. Orchid is a flower charm in Indonesia. Orchid is also the national flower of Singapore, and Thailand. Orchids are often used as a symbol of love, luxury and beauty for centuries. The Greeks used the orchid as a symbol of virility, while bangsaTiongkok in ancient times believed that orchids as plants that emit the fragrance of body Emperor of China. In the past few centuries, orchids have an important role in the development of techniques that use natural herbal medicine from plants. The use of traditional medicine with orchid plant materials have been used in traditional medicine in an effort to treat many diseases. They have been used as a source of herbal remedies in China since 2800 BC. Gastrodia elata is a species of orchid of the genus Gastrodia is one of three species of orchids are listed in the Materia Medica of the first known in China as a type of orchid that is used for the treatment of (Shennon bencaojing). Vanilla (Vanilla planifolia) is a member of the orchid tribe-anggrekan. This plant is used for flavoring fruit on the cake, for pembuatanparfum and aromatherapy. Underground tubers of terrestrial orchids Orchis mascula already made powder can be used as a mixture of herbs for cooking. Dried leaves of the orchid Jumellea fragrans can be used as a rum (flavorings) to drink on the island of Reunion. Some species of orchids Saprophytic kelompokGastrodia produce tubers and can be consumed as food by indigenous people in Australia and can be successfully cultivated, especially Gastrodia sesamoides.